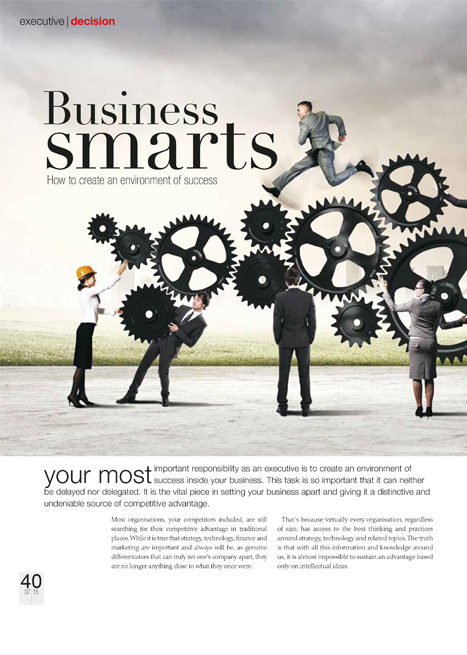 Your most important responsibility as an executive is to create an environment of success inside your business. This task is so important that it can neither be delayed nor delegated. It is the vital piece in setting your business apart and giving it a distinctive and undeniable source of competitive advantage.